(Al Hartmann | Tribune file photo) Several homeless men with their belongings camp on the mountainside above Victory Road north of the state Capitol. Salt Lake City Police, Volunteers of America, Utah Highway Patrol, and social workers from Salt Lake City and the Veterans Administration had set up an mobile outreach center along Victory Road. Washington • Utah made national headlines years ago for working to ensure nearly every chronically homeless veteran had a place to live, but a new national study shows that while across America more former members of the military are being housed, Utah’s homeless veteran rate has ticked up slightly. Nationally, there are 5.6 percent fewer veterans on the street compared to a count in 2017 but in Utah, the numbers shot up 8.6 percent. There are now 239 homeless veterans in the state, an increase of 19 over the year prior, according to the report. Utah has seen a big drop in homeless veterans since 2011 — down more than 100 – and state officials note that Utah registered a decrease before most other states. The new report, from the Department of Housing and Urban Development, shows the state had 220 homeless veterans in 2017 compared to 335 in 2016. The HUD study, released Friday, is essentially a census of homeless veterans conducted on one day – this year in January – and McDonald suggests there could be several variables why Utah saw a hike in numbers. 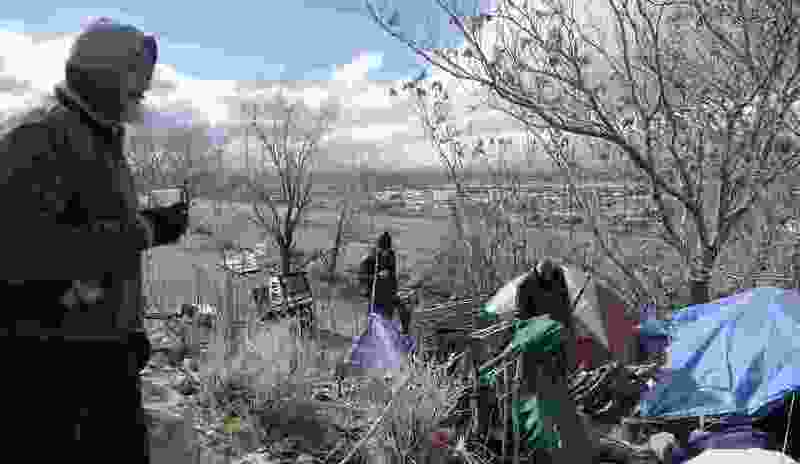 The main one, he says, is that because of Operation Rio Grande, an effort to clean up a homeless encampment near downtown Salt Lake City, the state brought in more volunteers to help find veterans living in shelters or on the street. “When you have more people counting, you have more people being counted,” McDonald said. Some states, the report shows, had a significant jump in homeless veterans while others saw a large decrease. Mississippi, for example, saw a hike of 78.9 percent while North Dakota a drop of 87.8 percent, the report shows. In Mississippi, the number of homeless veterans went from 57 to 102 in one year. In North Dakota, it went from 74 veterans without housing in 2016 to nine a year later. McDonald said Utah was ahead of the curve in finding a place to live for people who served in the military and other states are catching up. That said, he notes the state is working to solve the homeless problem and there are resources available to make that happen. “Right now, we're seeing a slight uptick but it's one where we're confident we have the programs in place to support and help any of our homeless veterans and help them get back to need to be,” McDonald said. And, he adds, because the numbers are lower than seven years ago, the state has the ability to know each individual who needs help and is working to help them find a stable place to live. Matt Melville, director of homeless services at the Catholic Community Services in Salt Lake City, said the charity’s shelter rolls “out the red carpet” for veterans and the benefit of lower numbers is being able to identify them and get them help they may not know how to access. “ I think we've made such a big progress with working toward solving veteran homelessness that we got our numbers down so low – we're in the low 200s – so any increase is going to be -- when you're dealing with that few people it's going to look bigger than what it is,” Melville said. Of course, as in any situation with homeless people, there are some who don't want to “live on the grid,” as Melville said, so it's likely impossible to ultimately house everyone. “That’s so true, but we need to make sure we have enough resources we can work toward a functional zero,” Melville said.